The government servant including security personnel posted at various location of state and those who are deputed on election duty cast their valuable vote though postal ballot. 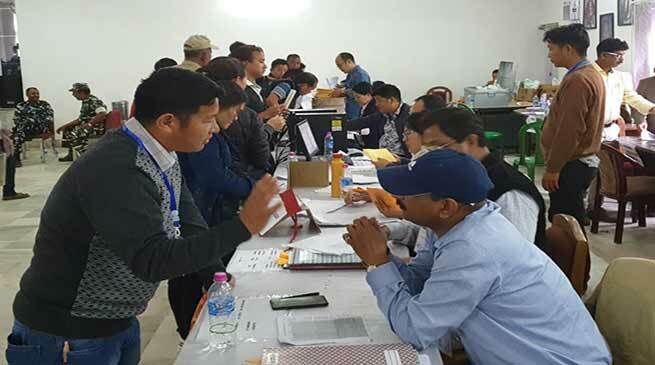 Informing the voting, Deputy Chief Election officer (Dy CEO) Liken Koyu said that as per information received so far sixteen thousand ninety eight votes were polled though postal ballot at various district for parliamentary constituency on Sunday and Monday. Fifteen thousand nine hundred thirty two postal ballot were polled for assembly constituencies and a total of thirty two thousand thirty. The state will go to poll and arrangement have been made accordingly. Dy CEO added.